Office Space - Trim, County Meath. 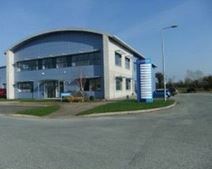 A massive office space is available to let within a landmark building located in Trim's business district. The building is modernly designed and decorated with great attention to details to offer you a first-class working environment, equipped with state-of-the-art technology and a full range of facilities and services. Available at a very convenient price, these office spaces are flexible and can be tailored according to your needs. They have direct access to the motorway network, well connected to Dublin and are surrounded by numerous hotels and amenities.